Alright, I know what some of you are saying….” Why is their side scrolling 2D adventure clogging up my VR store page?” and the answer to that is because it belongs there! The Lost Bear is a short story about a little girl’s adventure in a slightly familiar world as she tries to find, not only her lost stuffed bear, but her way home as well(I’m not giving away any other plot points). If you have played more recent releases in the genre, like Limbo or Inside, you’ll get an idea of how this plays, but with a way less “icky” feel when its done. Your adventure starts off innocently enough, just a stroll with you and your father. With your dual shock in hand, you control the little girl with standard platformer controls, at least initially anyways. At the games start you are given a sling shot and a picture in the background explains how to use it. You need to point your controller at the screen and the object you wish to shoot. Puzzles later on use a similar mechanics, but instead track the controllers position to push, pull and manipulate levers, buttons and switches that appear directly in front of you. These mechanics all work alright, but by the end of the game I think I would have preferred a more traditional control scheme. I did encounter an error or 2 while messing with the controls where my interactions with the levers just weren’t being read properly and forced me to let go, and grab the levers again. Nothing game breaking, but it did cause me an extra death or 2, which was a little frustrating. The visual style utilized in The Lost Bear is exactly that, a specific style. The characters and worlds look like paper with a drawing on it, stuck together to form a being or object. It’s not the most mind-blowing art you have ever seen, but it does have its own unique look and feel and it looks really clean and polished. 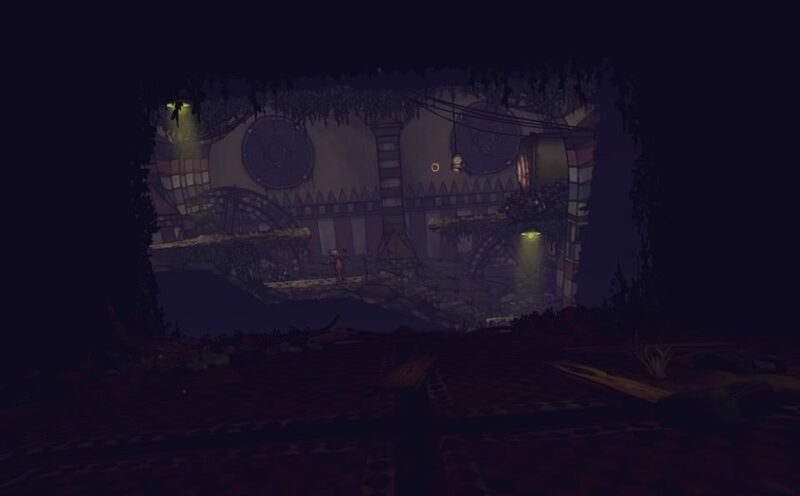 I had issues with identifying pits throughout the entirety of the game, as they just seemed to be hidden or blend in too well with the scenery, though my years of gaming experience had me guessing accurately where most of these falls were anyways. When a new mechanic is introduced, a diagram in the background displays the required action from you and I found these to be hard to understand and just messed around until I figured out what the game was asking of me. What makes this more than just a 2-D side scroller is your view. The game takes place in a theatre of sorts, with you sitting center, controlling and watching the action unfold. Each stage has its own theme and the theatre you are in changes to match the current stage. Some in-game events, like disturbing a bee’s nest, have said bees assailing both the little girl, and yourself as they buzz around both your heads. There isn’t a tonne of these moments, but whenever they happened, I appreciated that extra little bit of immersion. Even a late game puzzle utilizes the dual-interactivity of your world and the little girls. This is a short game, taking no more than 90 minutes, and that time includes a whole bunch of deaths. The full story is told in this time, but I can’t help but just want more content. What’s here is good, no question about that, but I would have liked a few more puzzles and a few more stages, just to see what this world has to offer. 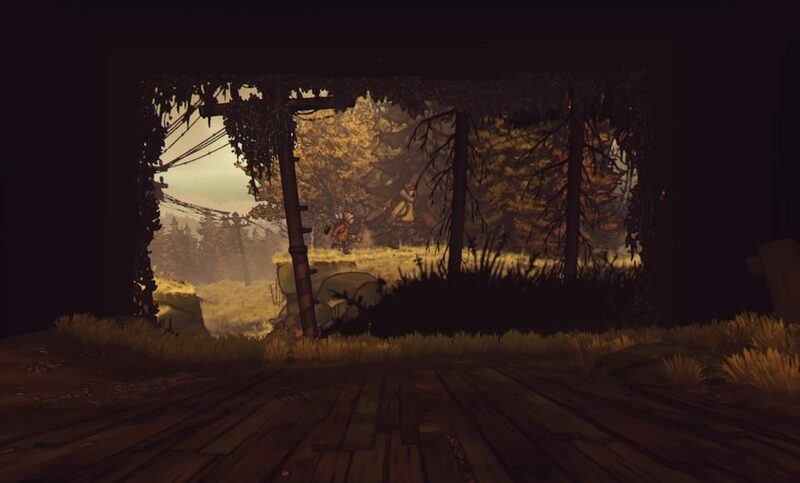 There is no back story given for the game, which I found both intriguing and frustratating. It looks post-apocalyptic, but not in a deathly way. 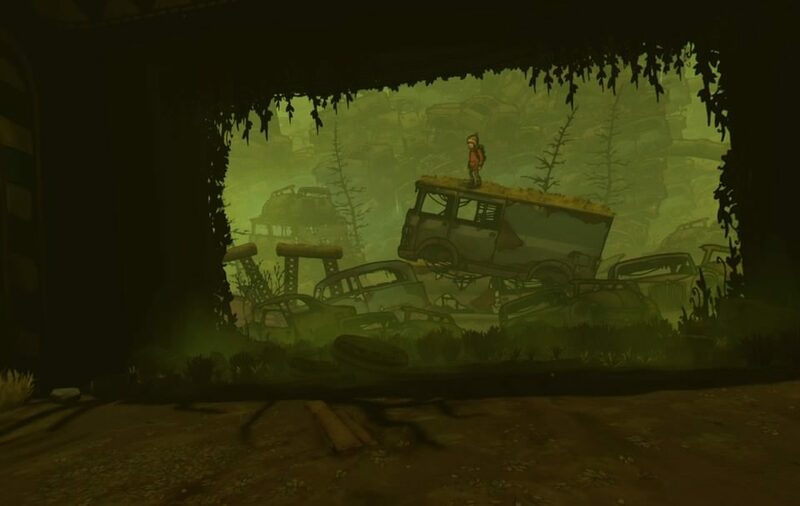 The environments and puzzles you see use dilapidated and broken technology with many of the surroundings crumbling at the slightest touch. I was into this world, and I think another stage or 2 with a few clues to past events would have added to the mystery and wonder presented. I liked this game a lot. It’s a short, contained game unlike any we have seen on the PSVR before. The puzzles were fun, I enjoyed the visual style and the story told. There were times when deaths felt cheap, but restarting almost right where you left off minimizes that issue. If you are looking for a little something different in VR than you are sure to enjoy this. What would I pay? $10 no problem. This is a small game for a small price and well worth the cash. I wanted more, but not because I felt slighted by the what’s offered, but because I just wanted to see all the things this world has to offer and stay in here a little longer. Fabrik Games provided theVRgrid.com with a review copy of this game and, regardless of this review, we thank them for that.